A platform uniquely designed for trading predictions, analysis, and education. A new prediction market focused on trading could spur a new realm of possibilites in the volatile crypto market. The team appears to be well equipped to launch a product of this scale, having expert knowledge and experience in all applicable departments of software development, marketing, and finance. The team has already made several accomplishments by completing initial development on the product and raising $9 Million in presale rounds. Prediction markets are essentially crowdsourcing information for parallel analysis with the real thing, but they definitely have a place among typical marketplaces. Several prediction markets already exist with the most notable DApp being Augur, a decentralized predictive market for several types of data such as sports, politics, weather and cryptocurrency. 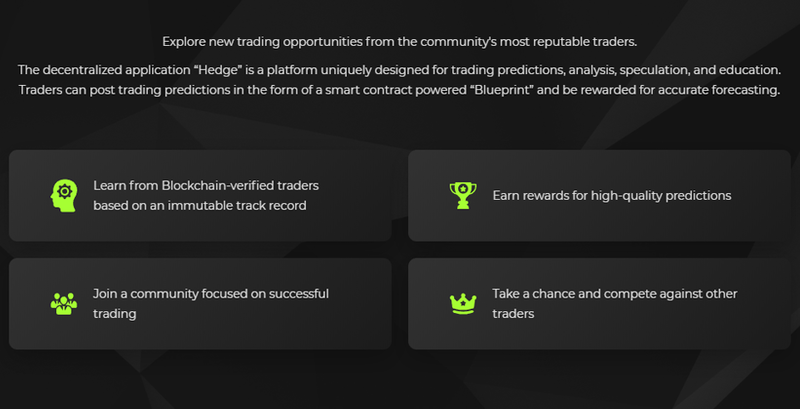 Here is where Hedge sets itself apart, by delivering a platform dedicated to financial trades it gives users the much needed specificity for trade details including entry and exit points, and an expiry date, allowing users to hedge their risk by utilizing the platform. Hedge has created a unique method of sustaining a trading network alongside having an impressive whitepaper and attractive website. The concept behind their model suggests that in the current market this type of platform would be widely used not only for trading but also as a learning tool. This project could be great as the incentive structure is attractive and the crypto market continues to reflect steady growth. 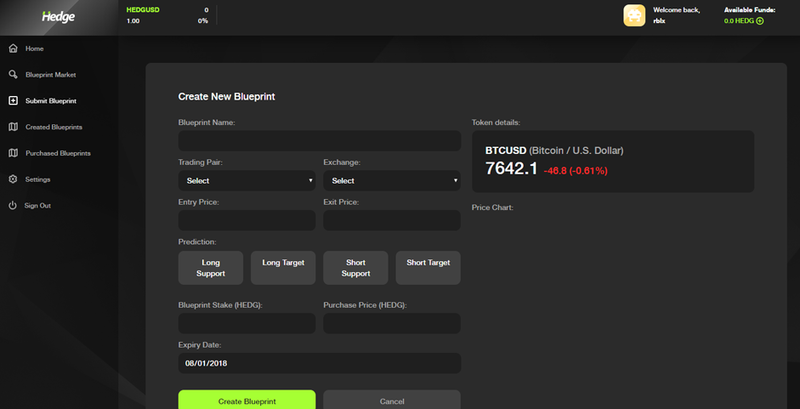 Hedge is a platform brought forth by Rublix Development, a company that has been operating in Canada for over a year. Hedge was initially part of the Rublix brand but this company has decided to branch out and run an ICO for the product itself. 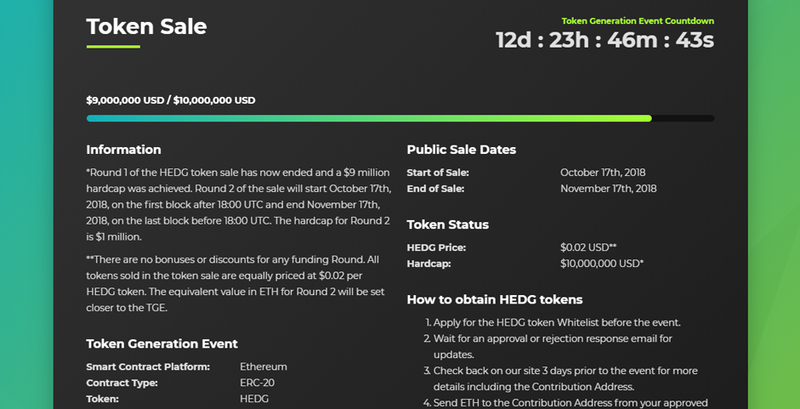 The Rublix token at the current moment reflects poorly on this company, but to see a product ready to go is the factor which will likely see the HEDG token become an attractive asset to own and utilize for any financial investor.